While South Africa’s original “weekend special” stayed in place for only a weekend, many provincial departments of health are still over-run with people appointed with little purpose other than to nod through corrupt deals. In as far as there has been a new dawn, it has been mostly at a national level. In provincial departments the Zuma eras never-ending weekend of unfettered corruption still drags on. It is not only that there are many corrupt persons in provincial departments of health, it is also that these corrupt people have replaced and pushed aside more principled and more competent people. The loss of management capacity, of a capable state if you will, has been one of the most harmful consequences of corruption and the things done to facilitate corruption. In turn, the lack of management capacity together with widespread corruption has contributed to low levels of morale in the public healthcare system. This loss of management capacity and morale undermines just about any attempt to improve the public healthcare system. Does May 2019’s national and provincial elections offer any realistic hope for change? Unfortunately, what is true of our politics more broadly is also true in health – a wholesale cleaning out of corrupt and underperforming persons may be desirable, but it remains unlikely. The internal democracy of the governing party is simply too compromised, both at national level and in provinces. As illustrated in the ANC’s party lists, many people remain untouchable for purely political reasons – see for example Former MECs for Health like Peggy Nkonyeni and Benny Malakoane, both of whom remain on their respective provincial lists. 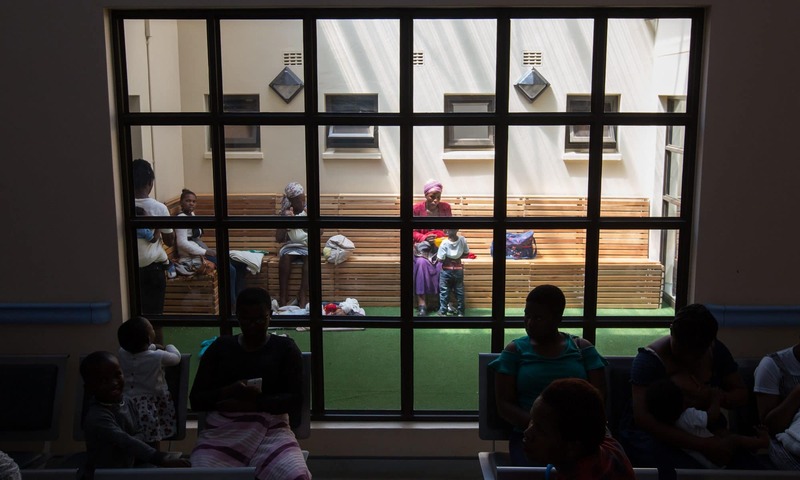 So far, it seems that the only real evidence of accountability for poor or corrupt stewardship of a provincial healthcare system in the Ramaphosa era is in Gauteng and North West. In Gauteng former MECs for Health Qedani Mahlangu and Brian Hlongwa are not on any of the province’s lists – the prior because of her role in the Life Esidimeni tragedy and the latter because of alleged corruption of over R1bn. In North West there is some limited accountability with HOD Thabo Lekalakala being suspended and MEC Magome Masike being replaced, both following the Mediosa, Buthelezi EMS, and other scandals. Elsewhere, MECs for health who are clearly out of their depth, such as Phophi Ramathuba in Limpopo, have made it back on to their provincial lists and seem set to continue in their roles – as are various heads of health departments, such as David Motau, the HOD on who’s watch the controversial Buthelezi EMS is still flourishing in the Free State. Much as one might hope the new dawn will reach down to provinces, there is only limited evidence of that happening so far. Maybe even less likely than a cadre of new principled and committed MECs and HODs taking the reins after May, would be if the ANC loses power in any of the eight provinces where they currently have a majority. It would be fascinating to see how a DA-led coalition would fare if put in charge of the public healthcare system in Gauteng or the Northern Cape. Improvement would of course not be guaranteed, but the inertia and mediocrity in some provinces is so severe, that a fundamental change in political leadership might be exactly the kind of shock the system needs. To further complicate the picture, South Africa is not only going into an election, but also into a period of major health reforms in the form of National Health Insurance (NHI) – the implementation of which should accelerate under the next administration. For these reforms to have a chance of succeeding in the context sketched above, we will need a Minister of Health who is a serious and strategic anti-corruption campaigner, who is excellent at managing the implementation of large, complex systems and who can draw on and meaningfully involve the substantial healthcare expertise that we have in this country. It would of course also help if the new Minister has the full backing of both the President and the governing party. Health Minister Dr Aaron Motsoaledi has been outspoken against corruption and deserves credit for his principled stance in the run-up to the ANC’s Nasrec conference. Even so, he has been ineffectual in his attempts to stem the corruption that have flourished in provincial healthcare systems over the last decade. Similarly, on NHI he is broadly in the right and clearly committed to progressive reforms, but whether he is the right person to oversee the actual implementation of NHI is another question. Vital institutions such as the National Health Laboratory Service, the Health Professions Council, and to a lesser extent even the medicines regulator, have all struggled on his watch. Motsoaledi was in many ways the perfect antidote to AIDS denialism and exactly what the country needed in 2009 – as evidenced by the dramatic increase in life-expectancy – but he has not managed to build a robust healthcare system supported by robust institutions, which is arguably the top priority going forward. The difficulty facing President Ramaphosa is that there are no obvious replacements who would fit the bill. Of the current nine MECs for health none really stand out – and those who do stand out, do so for the wrong reasons. Current KwaZulu-Natal MEC for health Sibongiseni Dhlomo is second on KZN’s province-to-national list, but surely his disastrous handling of that province’s cancer crisis must rule him out. There have been some whispers that current Gauteng MEC for Health Gwen Ramokgopa is being considered, but apart from the fact that she is not on any of the ANC lists, her relative lack of success in her two stints as MEC for health in Gauteng must raise questions about her ability on a bigger stage. Looking wider than the MECs, Zweli Mkhize might bring political clout, but it is unclear whether he’d want the job and his role in the Tara KLamp scandal remains a blotch against his name. The Presidents health advisor, Olive Shisana, will probably be considered, but it is hard to see that working out well given how divisive her involvement in the NHI process has been. Technically, of course, the President may look outside of the well-connected cadres of the ANC. If he wishes, he could appoint someone from business, civil society, or even from an opposition party. But in our deeply compromised politics, the prospects of excellence winning out against politics is of course not very good. Not quite as unlikely as improvement through new and better leadership, would be the removal of corrupt persons from the healthcare system by sending them to prison. Not only will this put some of the guilty behind bars, it would signal to all the “specials” out there that the years-long weekend of unfettered corruption is finally coming to an end. For such accountability through the law to become a reality, we will however require major reform of both the Hawks and the National Prosecuting Authority across our provinces, and not just nationally. In his appointments at the NPA and State-Owned Enterprises, and his use of the Special Investigating Unit there are signs that President Ramaphosa is serious about uprooting corruption. Whether he will be able to see it through, and whether the NPA will start prosecuting politically connected persons, remains to be seen. Ultimately, the future of healthcare, as so much else in South Africa, depends on whether we can win this fight against corruption and for a capable state. Maybe the most important leadership question for healthcare then is not who the next Minister of Health or the next nine Health MECs and HODs are, but for how long after May 2019 Ramaphosa and his allies will survive the corrupt forces in the governing party.